These Simple Boys Bathroom Updates for a rental home or apartment come from our current situation. While we complete renovations on our home, we are in a temporary rental. If you’ve ever rented before, you know how hard it can be to make it your own without risking the security deposit or creating a lot of work for yourself when you move. 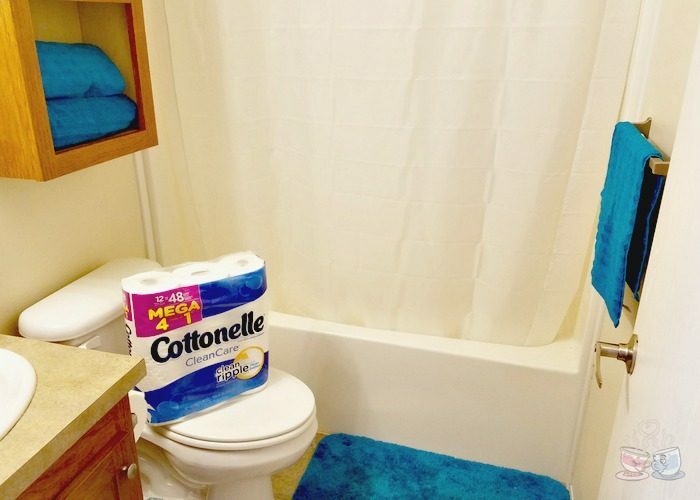 These ideas were easy to implement, and of course, fit easily into our sponsored post for Cottonelle. Our rental has two bathrooms. The master bathroom and our son’s bathroom that also doubles as a guest bathroom. Since our son doesn’t like frilly things in the way, we compromised. I wanted his bathroom to at least have a little update without feeling so stark. The result is a simple, but effective bathroom that works well for his needs and any future guests we may have come visit our home. Let them choose their color theme. Our son loves a wide combination of things these days. Since this also doubles as a guest room, we agreed on somewhat neutral decor. He got to choose the colors, but we avoided going full out with the mixture of genres he wanted. While I don’t mind his bedroom having an eclectic mess of his favorite sports, games, and movie themes, I wanted the bathroom to be a bit more neutral. He loves this dark teal color featured in his towels and rugs. Since he didn’t want a lot of fancy additions, we left his shower curtain a simple white option. I hope to convince him to update with something different later, but for now, we pick our battles. He added some simple sports themed toothbrush holders and soap dispensers that he picked out at the local discount store. Again, nothing fancy, but definitely matching his tastes. Add storage in empty spaces. A small rental bathroom means that there isn’t a ton of extra space. However, the walls are often pretty empty. Our solution was to pick up an over the toilet storage cabinet that matched the woodgrain trim in the bathroom. This was an inexpensive way to add extra storage that he needed. We can add washcloths, toiletries, and that much needed air freshener into the cabinet above the toilet for future use. 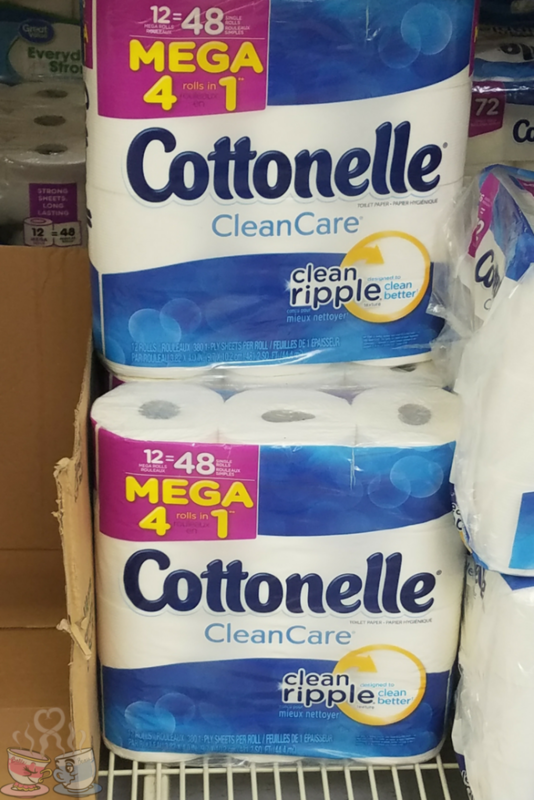 Of course, the Cottonelle Mega Rolls will fit into the cabinet easily so nobody ever runs out of toilet paper in their time of need. He requested that we leave the fancy stuff out of his bathroom. So, instead of special shower currents and fancy decor, we left things simple. I did, however, have him help me pick out a coordinating piece of art to go on the wall. This one is special because it also offers an empowering message he will see each day. As he gets ready for school this fall, he will know that he is ready to face any challenge and this is a great reminder to read every morning. Wall art, vinyl wall decors, or even family photos are also great additions to your boy’s bathroom updates. You may even find that temporary options are best since they can easily be removed when you move, and can be reused at your future home or rental. Arm the bathroom with appropriate supplies. We headed out to Walmart this week to do our shopping. The bathroom isn’t just about looking pretty. It is necessary to make sure you have what is needed on hand. For a boys bathroom, that means a little deodorizing spray, and of course, plenty of toilet paper. 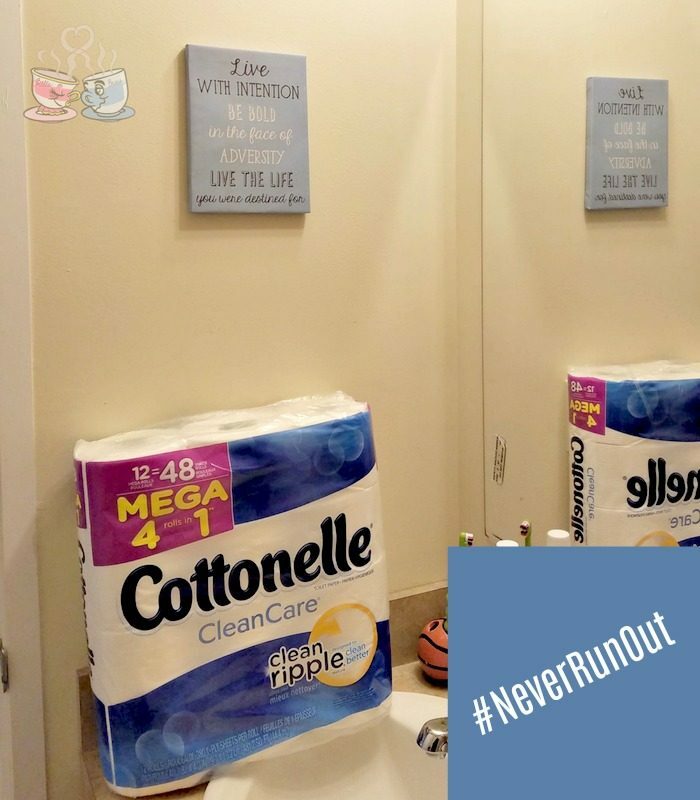 The Cottonelle Mega Rolls 12 Pack is a great investment for his bathroom. We can slide it under the counter, and I know he will always have plenty of toilet paper on hand. Since these particular rolls are so much larger (1 Mega Roll = 4 regular rolls), I don’t have to worry about him or a guest running out when in need! Hide extra supplies in the convenient over the toilet storage cabinet, or under the sink. Extra towels can be rolled and displayed in the open area, while washcloths, soaps, and extra toothpaste can hide out behind cabinets. It can be easy to go outside your budget when doing any boy’s bathroom updates, but there are a few things that can help. Pick a theme and stick to it. Make a list before you go shopping. 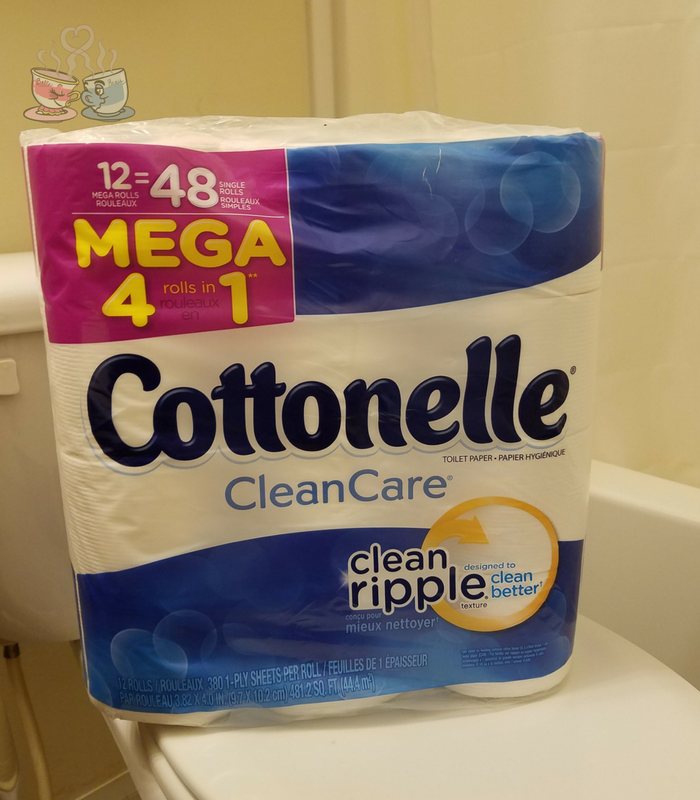 For the budget friendly, Cottonelle Mega Rolls are always affordable, but right now there is a great $1 iBotta Rebate at Walmart starting 6/28. Make it even easier to manage when you order fresh groceries and supplies online with Walmart. You get the same price with easy free pickup at Walmart! Perfect for busy summers with kids in tow! Check to see if this is available in your area. 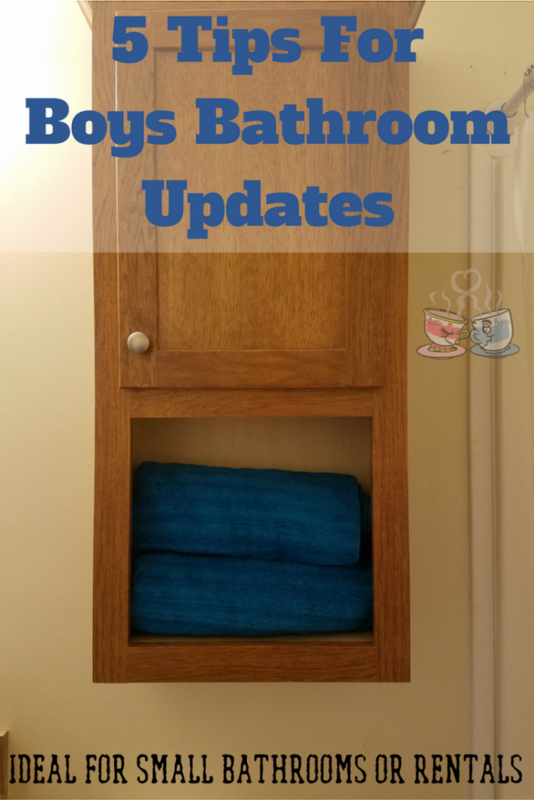 These boys bathroom updates are ideal for a rental home, and can easily fit into your summer schedule and budget!